The Native Plant Salvage Program is a joint initiative between the Township of Langley and LEPS. This program was designed to salvage native plants from development sites for use on habitat restoration projects in the Township of Langley. The program relies on developers and landowners volunteering their properties to be salvage sites. LEPS then coordinates staff and volunteers to conduct a salvage prior to the start of developments. 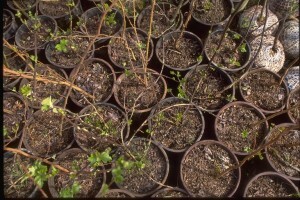 More than 1500 plants have been collected and are stored at LEPS’ Native Plant nursery before planting at suitable restoration sites. Development can happen at a rapid pace and LEPS often works with developers and municipalities to conserve resources before they are lost to urban expansion. If you are interested in participating in this program please call 604-532-3511 for more information. You can help LEPS by donating your time to help us continue this important program!